GIMMI DI BASS! MUNICH BASS! Schlachthofbronx are a bunch of three guys (live at least a two tag team) based in Munich, Bavaria. The home of Schlachthofbronx is to be found in the heart of the city, between the goods yard, the slaughterhouse (hence the name Schlachthofbronx) where business takes place all night long. Here originates Munich Bass, a dirty hybrid of African Kuduro, South American Cumbia, Carribean Soca /Dancehall, Brazilian Baile Funk, Cape Verdian Funana, American Bootybass, UK Dubstep – and Bavarian Schranz! This EP is an appetizer for the upcoming self-titled debut album of Schlachthofbronx coming in September. The Belly EP combines 4 tracks (digital even 2 bonus tracks on top). 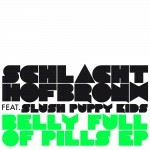 Part of the EP are the Slush Puppy Kids – the “next big thing from South Africa”. Slush Puppy Kids are Big Space und Spoek Mathambo – Spoek is also known for being the rapper of Sweat X and Playdoe. Talking about Playdoe: Schlachthofbronx will play 2 shows together with them in South Africa in November! Cause the Munich guys love to tour a lot bringing their hyperactive live set to the club kids all around the globe. Traveling is the basis for friendship and great collabos. And that’s exactly how they met Portugese DJ Manaia who did an exclusive remix for the EP. And goin back to Bavaria – the Discotrash remix (one of the 2 digital bonus tracks) was created in the lovely Bavarian county Oberpfalz! 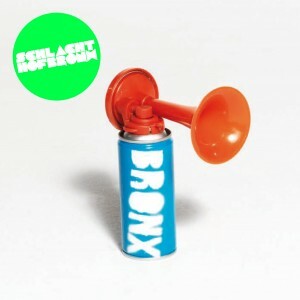 Schlachthofbronx themselves describe their music as “subtle sounds different!”. Or as they told a famous German newspaper: it’s “like a rhino in a bumper car”. Primitive and pumping. Celebrating a musical clash of cultures without stepping into the folklore–trap. Their fans play vuvuzelas and rave sirens, keep on bootyshakin’ and towelshakin’ like Bafana Bafana has just won the FIFA Soccer World Cup 2010. Or in other words: At Ghettorave everybody puts his cultural background into the mixer and Schlachthofbronx pushes the start button. A Cosmopolitan Volksfest. 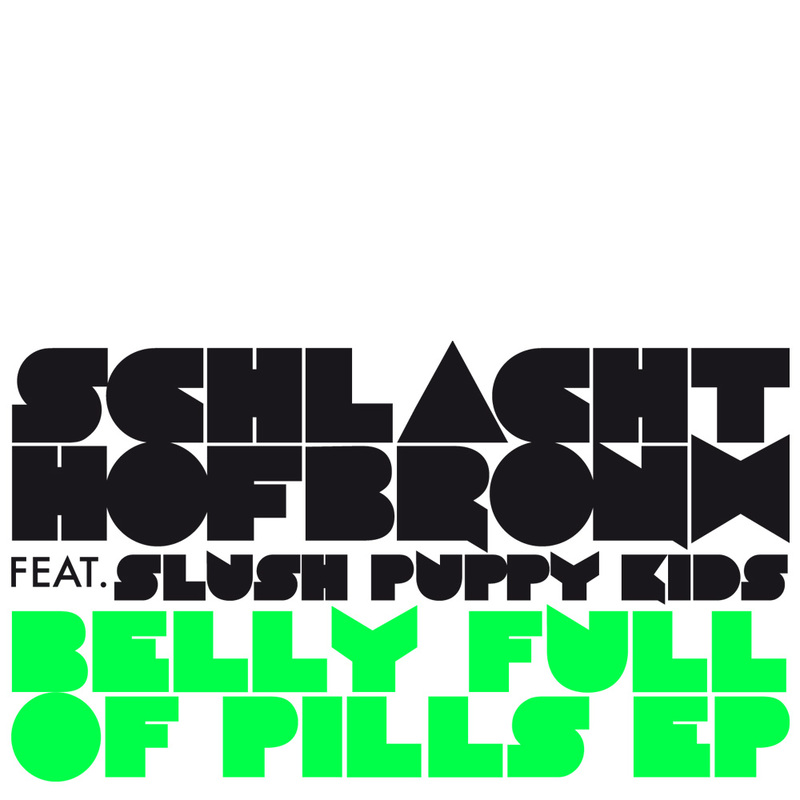 This Belly Full Of Pills EP is followed by the self-titled, full length Schlachthofbronx debut album in September 2009 on Disko B. So keep on watchin – more to come soon!